Simerg has been very excited by the demand we have seen for our exclusive offering in North America for Prince Hussain Aga Khan’s Animal Voyage . 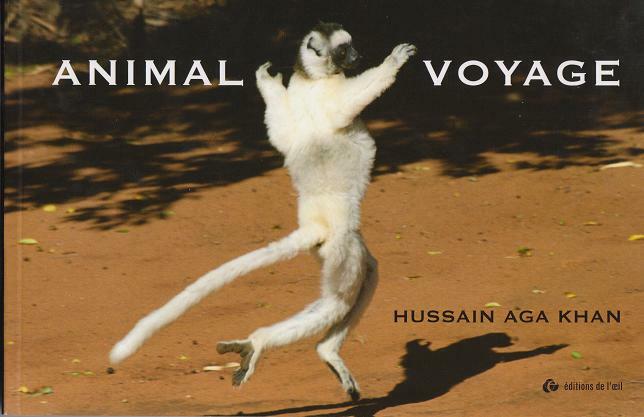 We should add, though, that this book of animal photographs taken by Prince Hussain between 1996-2007 is getting short in supply. So we ask you to act now and take advantage of purchasing your own copy and make this your own unique collectible item or buy it as a memorable gift for your family members, especially children and youth, as well as your friends. It is a book for all occasions! Please send an email to Simergbooks@aol.comand specify number of copies you wish to order. We will then send you a PayPal invoice via email. Follow PayPal instructions to pay via a credit card or your bank account. Paypal registration is very simple, and there is no charge to you for using the service. Simergbooks is PayPal verified. You may also order through a state of the art shopping cart system hosted at http://simerg.myshopify.com/collections/all. You will then follow instructions to make your payment via PayPal using a credit card or through your financial institution. Paypal registration is very simple and there is no charge to you for using PayPal. Simergbooks is PayPal verified. We shall accept cheques and money orders in the amount US$75.00 for orders originating in the USA. The equivalent for Canadian orders will be CDN$90.00. Please send an email tosimergbooks@aol.com to confirm product availability or to reserve a copy. Instructions will be sent to you, depending on book availability, for cheque/money order payments. Order will be shipped once cheque/money order has cleared. Note: All prices shown above include packaging/shipping to Canada via Expresspost and to the USA via Expedited Air Mail Parcel. Send an email to simergbooks@aol.com and we will send you the total cost of the book (including shipping). You can then pay via Option 1 above. Gift: Surprise your loved ones with “Animal Voyage”, and delight their senses – Simerg will send a lovely gift card on your behalf at no extra charge. Our artist will scribe your message on the card. Simply send an email to simergbooks@aol.com referencing the Paypal order, with your gift message (or we will write a general one on your behalf). during his travels between 1996-2007.
included at end of book. Noteworthy: The books has been dedicated by Hussain Aga Khan to Sadri (the late Prince Sadruddin Aga Khan). A note in the inside front flap also says that the proceeds from the sale of the book will be distributed to the Prince Sadruddin Fund for the Environment and the Earth Focus Foundation, Switzerland. This is a beautiful piece of work!! The service was excellent. Very quick, safe and efficient turnaround and follow up. I recommend everyone to have a copy. Thank you Simerg; that was a very quick turn-around time after I ordered the book from you just a few days ago. It’s a high-quality paperback book, rectangular in shape with dimensions 11 inches by just over 7 inches and about half inch thick, has 130 pages if you include both covers (which have pictures on all 4 sides). There are 128 amazing pictures in this volume. “Islamic doctrine goes further than the other great religions, for it proclaims the presence of the soul, perhaps minute but nevertheless existing in an embryonic state, in all existence in matter, in animals, trees, and space itself. Every individual, every molecule, every atom has its own spiritual relationship with the All-Powerful Soul of God” (Memoirs of Aga Khan III, 1954). Outstanding customer service, superfast delivery, and the book is great addition to any library. Thank you!! The service was excellent and fast. Much appreciated. The copies arrived on Thursday and they are beautiful! Thanks for these. Thank you soo much for the shipment – I received it today! I am impressed at how quickly the transaction went from the time of my order to the delivery. Great job!! Thank you simerg for processing my order of Animal Voyage by Prince Hussain promptly. The book arrived in time for a gift for my son Bilaal. The book was delivered by Expresspost within 2 days after placing the order in a nice sturdy package. My son was delighted with the excellent photography by Prince Hussain. We as a family will cherish this volume for a long time. Once again, thank you http://www.simerg.com for making this book available in North America and your outstanding customer service and support. This really binds our relationship with the nature. By observing nature and its habitat one recalls the Creator and his Creation – this inspire within us an internal echo to look after nature and ensure that it remains protected for a long time. Inspiring and interesting perspective on nature. Just bought mine from Simerg, and proud to add it to my collection of photography books.